Our attorneys help clients file a criminal appeal to review a matter arising from a criminal case. Direct appeals can also be filed on behalf of a juvenile after a disposition in a delinquency case from juvenile court. After a person is convicted of a crime in Circuit Court because of a felony charge, the direct appeal is filed in the District Court of Appeal. Most direct appeals occur after a trial because the grounds for a direct appeal after a plea of pled guilty or no contest are very narrow. Appeals from a conviction in county court are appealed to the Circuit Court. A criminal defense attorney can also help you file an extraordinary writ by the filing of a petition containing the arguments within the time allowed by law, as described in the Florida Rules of Appellate Procedure 9.100. The writs include a writ of habeas corpus, certiorari, mandamus or prohibition, both before trial and after judgment. If you were convicted of a felony or misdemeanor in circuit court or county court in Leon County, or any of the surrounding counties in North Florida, then contact an experienced criminal appellate attorney at Pumphrey Law. Many of our appeal cases are referred to us by other criminal defense attorneys throughout the State of Florida. It is often better to hire a different attorney for the appeal instead of hiring the attorney that tried the case at the trial level. The appellate attorney can bring a fresh perspective to fighting the case on appeal. If you or a loved one was just convicted of a felony or misdemeanor after trial, then act quickly to talk with an appellate attorney about filing the direct appeal of the criminal conviction. Our appellate attorneys also represent clients in writs include a writ of habeas corpus, certiorari, mandamus or prohibition, both before trial and after judgment. Our attorneys also represent clients seeking post-conviction relief after a criminal conviction because of ineffective assistance of counsel or newly discovered evidence. When Does the Direct Appeal Occur in Florida? After a conviction of a felony or misdemeanor, you only have 30 days to file the notice of appeal. Your appellate attorney in Florida will also file the appropriate documents to request that the record and transcripts are properly prepared. After the record on appeal is ready, your attorney will file a written brief explaining all of the issues. The prosecution will file a response brief. Shortly thereafter, your appellate attorney gets the last word in a reply brief. In many cases, your appellate attorney will also request oral arguments so that the attorneys can explain the issues and answer questions posed by the appellate court before a decision is made. The direct appeal occurs after the judgment and sentence because defendants in criminal cases cannot usually take appeals from pre-trial orders entered prior to the verdict in the case. In some cases, the prosecution is permitted to appeal certain orders suppressing evidence or dismissing charges before trial. Additionally, after the trial, the State can appeal orders granting a new trial or a judgment of acquittal after a guilty verdict. The district court also has jurisdiction to hear extraordinary writs, such as writs of habeas corpus, certiorari, mandamus or prohibition in exceptional circumstances, both before trial and after judgment. These are requests to a court to exercise its discretionary power to decide a special class of issues, such as the legality of custody of a person. The purpose of a direct criminal appeal is to review the decisions made by the judge in the trial court to determine if harmful legal errors have occurred. A legal error is harmful if it affects the outcome of the case. The appeals are not like the trial in the sense that the appeal is not intended to give the parties a second opportunity to reargue the facts of the case. The other purpose of a direct criminal appeal is to determine whether sufficient evidence supports the conviction. If not, the conviction can be overturned on appeal. If you were convicted of a criminal offense, then contact an experienced criminal defense attorney to discuss filing a direct criminal appeal to have the conviction overturned or so that a new trial can be granted. 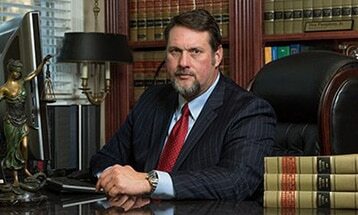 Call our experienced appellate attorneys in Tallahassee, FL, to discuss your case today. Schedule your free consultation with a lawyer now.